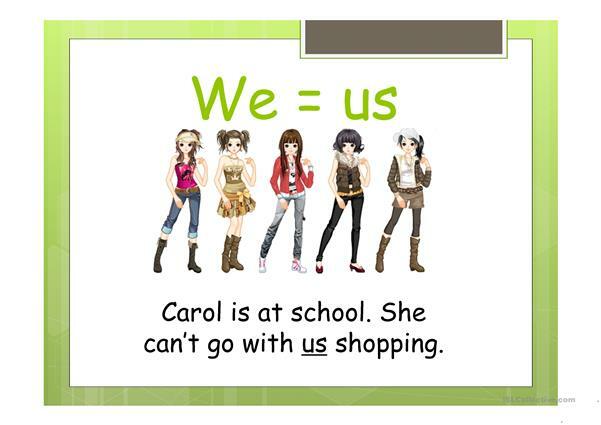 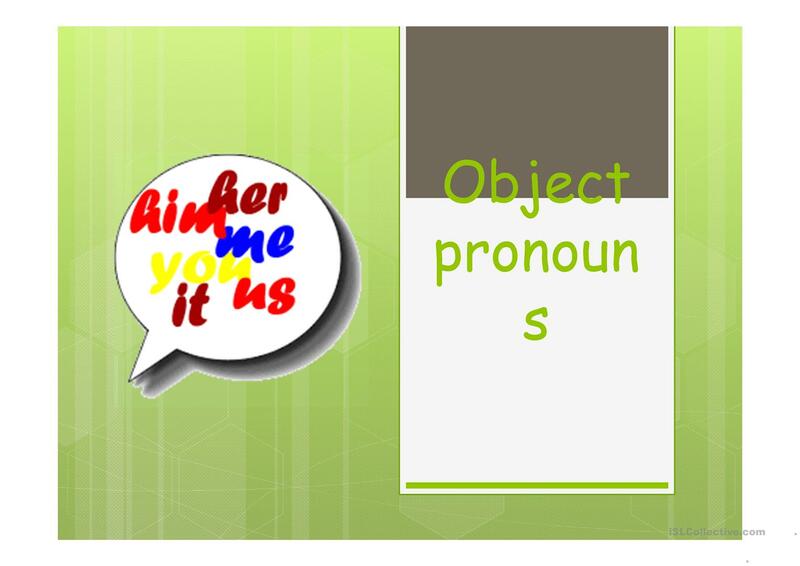 Grammar presentation that shows how to use object pronouns. 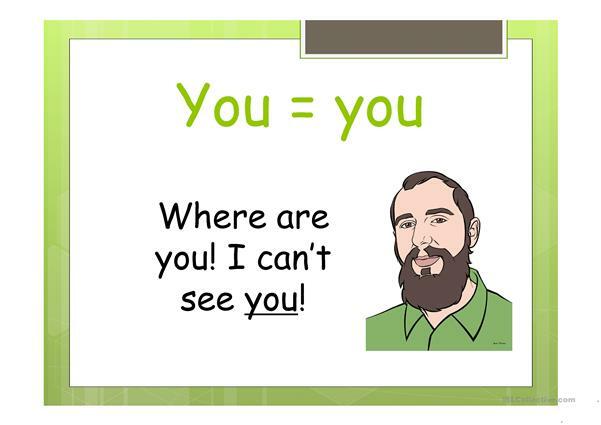 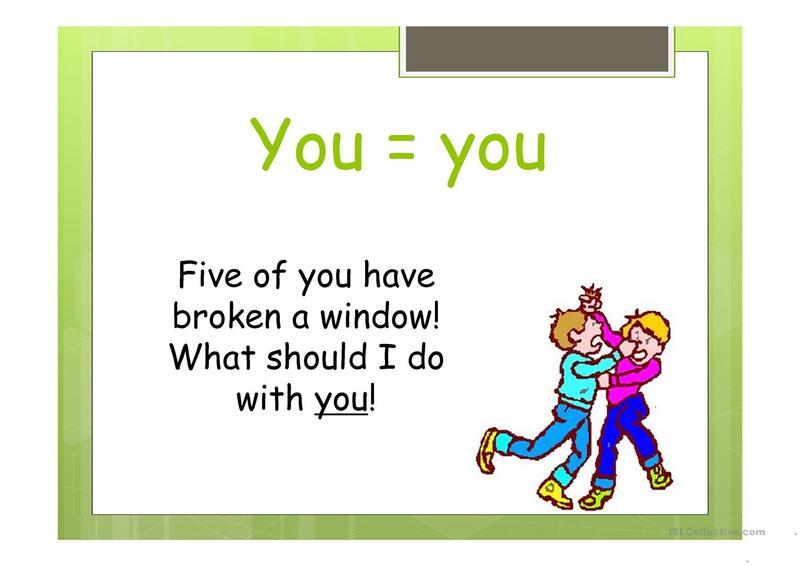 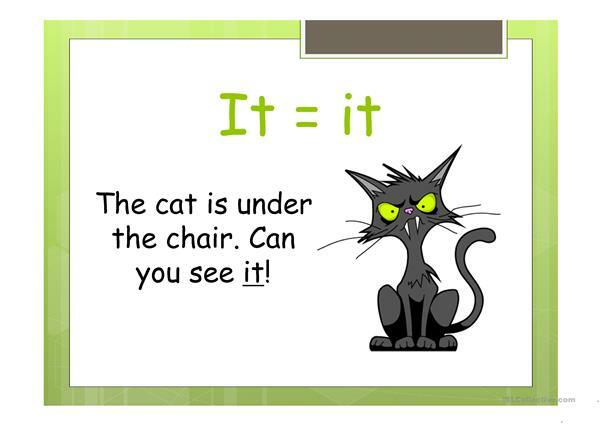 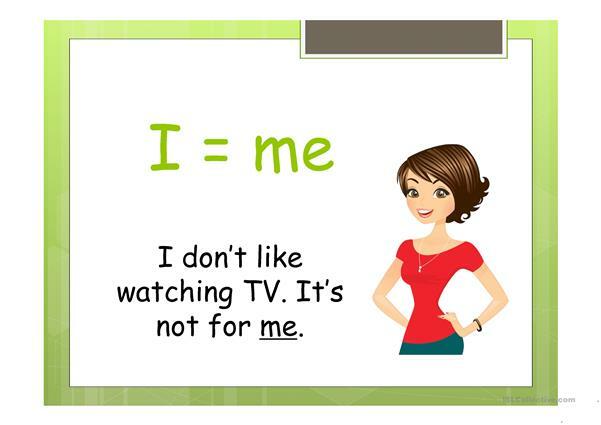 You can add more slides and ask your students to tell you the correct pronoun. The present downloadable worksheet is a great resource for elementary school students and kindergartners and nursery school students at Elementary (A1) and Pre-intermediate (A2) level. 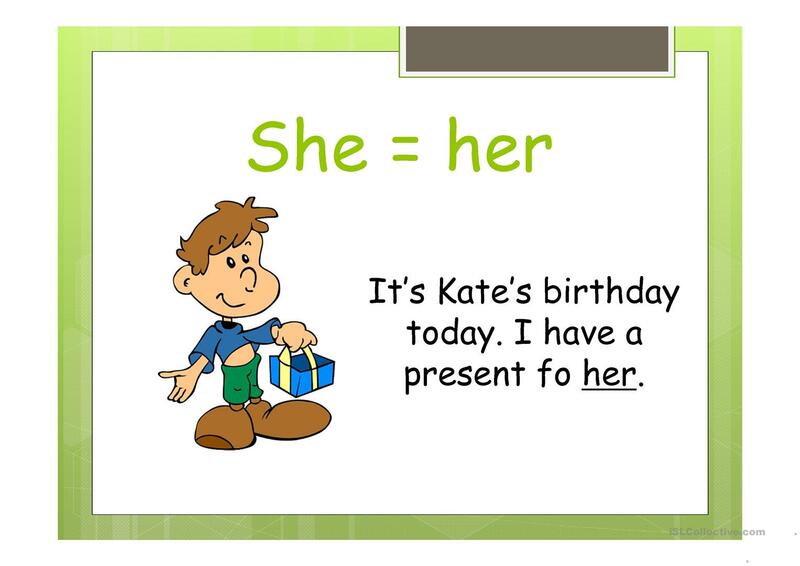 It is valuable for teaching Pronouns: YOU and THEY to talk about people in general in English, and is excellent for improving your pupils' Speaking skills.